And yet, 40% of America (including my own damn daily newspaper) think she’s qualified to be president! Go figure!! Actually, I am starting an article (blog) on that topic, we note our morality and ethics are pathetic in this country and we as a nation do nothing to cure it. Instead we enable it, feed it and it grows…..like allowing he most corrupt political figure in our history run for POTUS. DesertMan, the country have collectively bummed their heads one too many times! Any reasonable person should be outraged and demanding heads roll. But, nope. 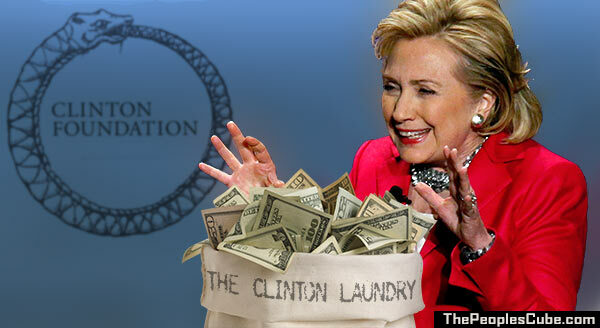 It gets swept under the rug with all the other chit coming out of the Clinton’s dealings. Out of sight, out of mind. And America is seemingly ok with that. Or, where are the pickets of public and media outcry? Amazing. Part of the problem, a big part I believe is that Washington, all parties, have an elitist established pact making them immune from criminal and unethical activity. Yes!! I also believe that to be true. Nothing changes if NOTHING CHANGES. Boy does this country need change, and fast. It seems that the only thing these liberal media types recognize is when people cancel their subscriptions or stop watching or listening and their ratings go down (like CNN, HNN, MSNBC, CNBC). You’d figure they’d learn sooner or later the reason why… but they don’t. I guess that makes liberals pretty stupid, wouldn’t you say? They don’t appear to be smart. Ha! It makes them gullible sheep who will blindly follow anyone that ‘seems’ to make sense. They are the ones who buy ‘light’ products and have no idea what makes them ‘light,’ nor do they care to find out.